Bourton-on-the-Water is one of the best known Cotswolds villages, with it's foot bridges across the river. Foxhill Farm Barn is a ground floor, barn conversion located in Bourton-on-the-Water, Gloucestershire. Downstairs there is a living room, fitted kitchen with a dining area. Upstairs has one king-size bedroom with a separate bathroom and WC. Across the courtyard is a garden which the welcoming owners are happy for guests to use with open and uninterrupted views across the countryside. Parking is available at the property. Foxhill Farm Barn is the ideal secluded property for a romantic holiday. 1 Bedrooms Central heating. Electric oven and hob, microwave, fridge, TV with Freeview, DVD, WiFi. Fuel and power inc. in rent. Bed linen and towels inc. in rent. Off road parking. Shared use of owners garden with table and chairs. Sorry, no pets and no smoking. Shop and pub 3 miles. 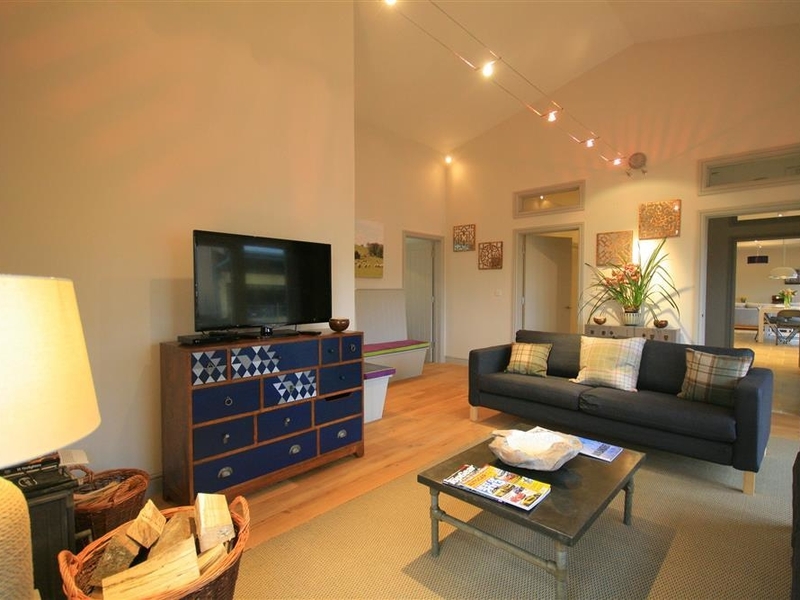 Park Bothy is a ground floor, barn conversion located in Wyck Rissington, Gloucestershire. 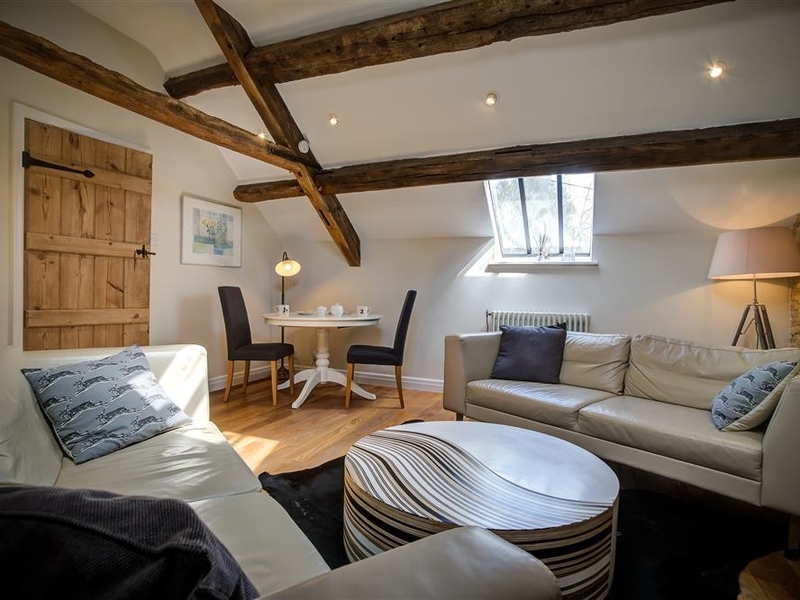 Inside, the owners have taken great care to provide a well-equipped and stylish home with classic features such as the exposed oak beams and open fire. The property opens up to an open-plan living room with a wood burning stove, a fitted kitchen and dining area. There is one king-size bedroom with a separate shower room and WC. There are two external areas for guests to use, including a grassed area to the front of the property, with a table and chairs, and a rear terrace area with a hot tub. Parking is available at the property. Park Bothy is the place to visit for a short break with your partner. 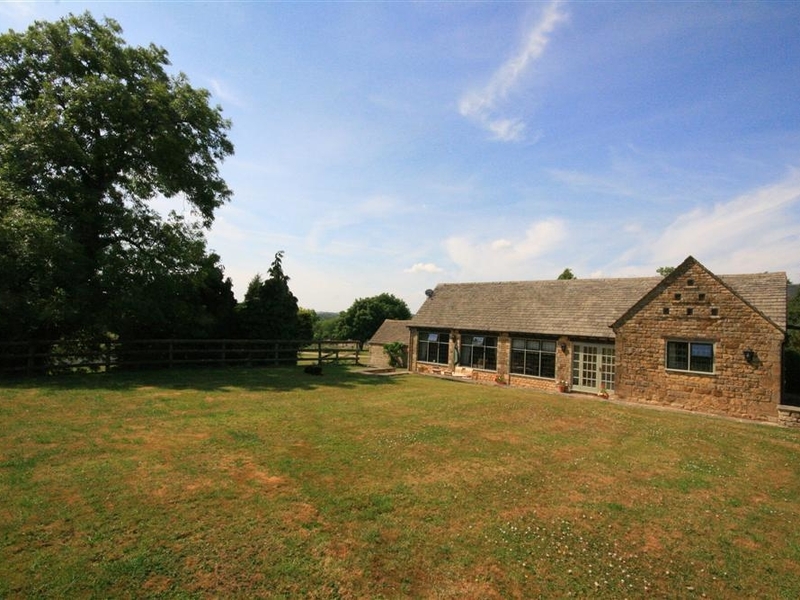 Court Hayes Farm Barns is a pair of barn conversions based in Wyck Rissington, Gloucestershire. Both barns are set close to each other and inside, the accommodation is spotless, spacious and presented in a stylish tone. 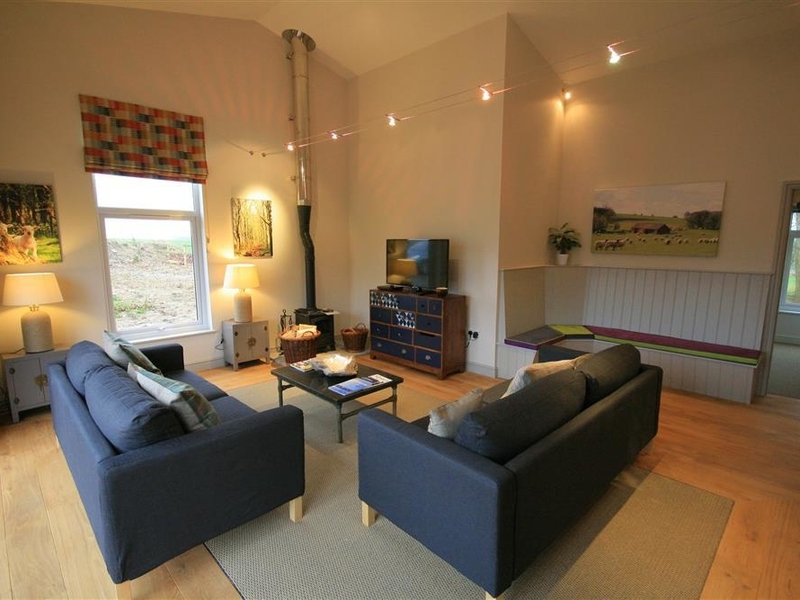 Both properties have an open-plan living room with a wood burning stove, a fitted kitchen and dining area. They have three king-size bedrooms, one with an en suite shower room and WC, one twin bedroom with an en suite shower room and WC. There is a separate bathroom and WC. The property has two outdoor areas, including an enclosed terrace where the hot tub is located, and toward the front of the building is a grassed area with a picnic table provided. There is ample off road parking available. Court Hayes Farm Barns is the perfect spot for those interested in historical landmarks. 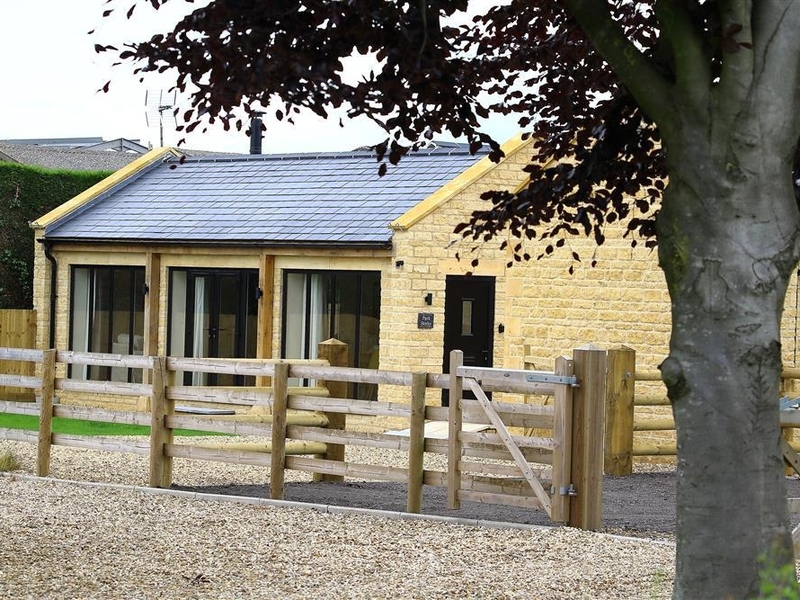 The Grove is a secluded holiday cottages located in Notgrove, Gloucestershire. It is situated within a 1500 acre country estate. The property was constructed within an ecologically sound framework using craftsmen with local materials along modern technologies such as thermal panels. The property is spread across interconnecting units, each one entirely self-contained with a small walkway between. 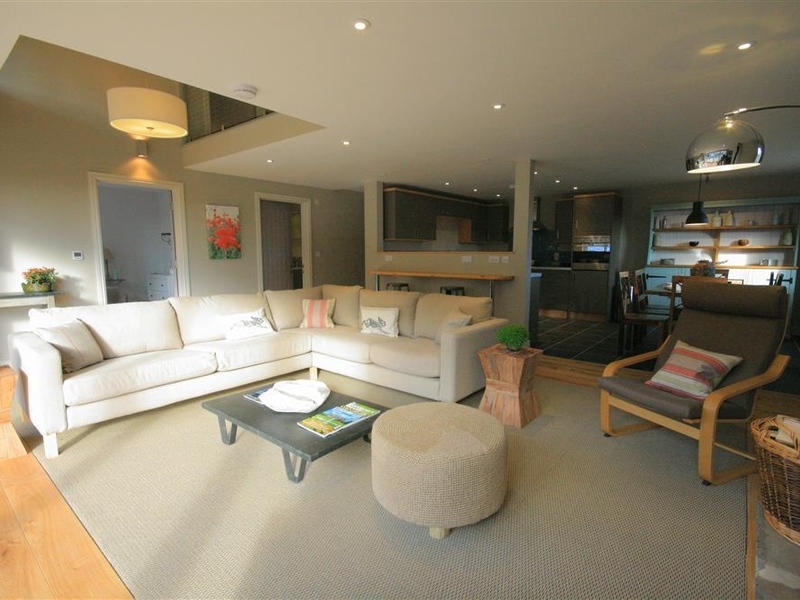 Each cottage has an open-plan living room, fitted kitchen and dining area. A table can be set up in one cottage to accommodate all twenty two guests if needed. You will find one bedroom each on the ground floors with an en suite shower room and WC. Upstairs has a further three bedrooms with three bath and shower rooms and WC. One of the barns has a further one bedroom with an en suite shower room and WC downstairs, and two more bedrooms with two bathrooms and WC upstairs. There are eleven bedrooms in total, across the two properties. There is a separate games room with table tennis, table football and a pool table. Outside has a garden and terrace with a table and chairs, as well as individual and communal barbecues. There is a comprehensive range of additional services, from food prepared ready for your arrival, to cycle and tennis court hire, please contact the office for more information. Off road parking is available. The Grove is the ideal property for friend and family celebrations. Wadham Cottage is an 18th century, Cotswold cottage based in Bourton-on-the-Water, Gloucestershire. 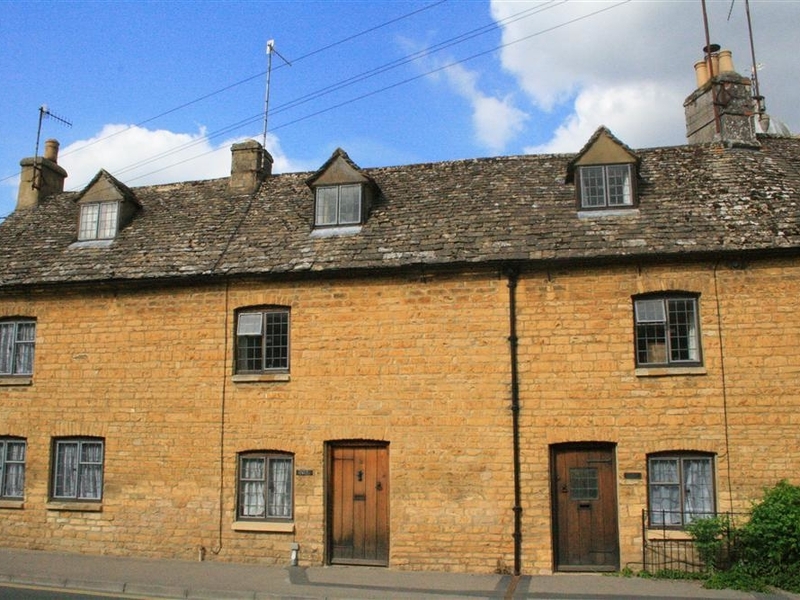 It is a delightful and cosy cottage retaining many of its original features. Inside has a living room with a coal effect electric fireplace, and a fitted kitchen with a dining area. The property has an external outhouse with laundry and drying facilities. Upstairs has one double bedroom and one twin bedroom located on separate floors. There is a family bathroom and WC on the first floor. There is a shared patio area with a table and chairs, plus a separate grassed area beyond which backs onto the local church. Off road parking is available for one car. Wadham Cottage is ideal for a couple or small family to enjoy the village and explore the local area. 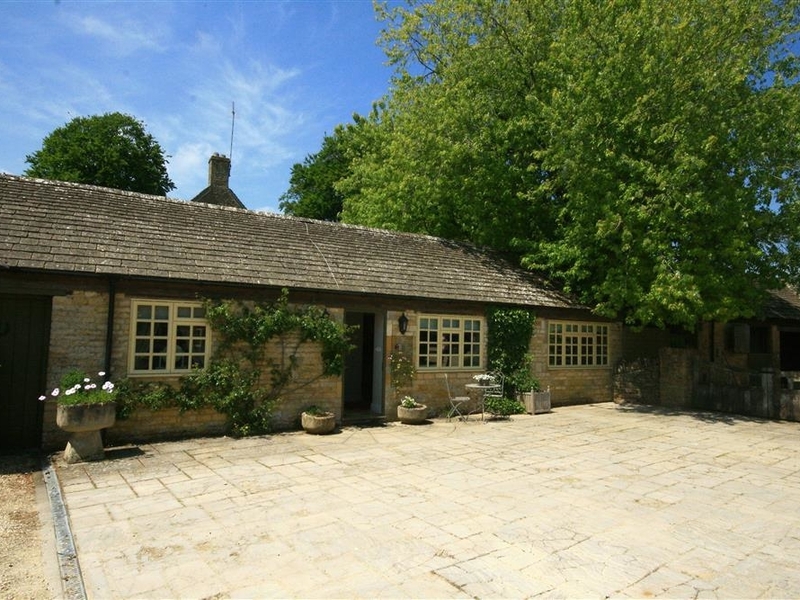 The Court Yard Cottage is an excellent Cotswold holiday cottage in Little Rissington, Gloucestershire. 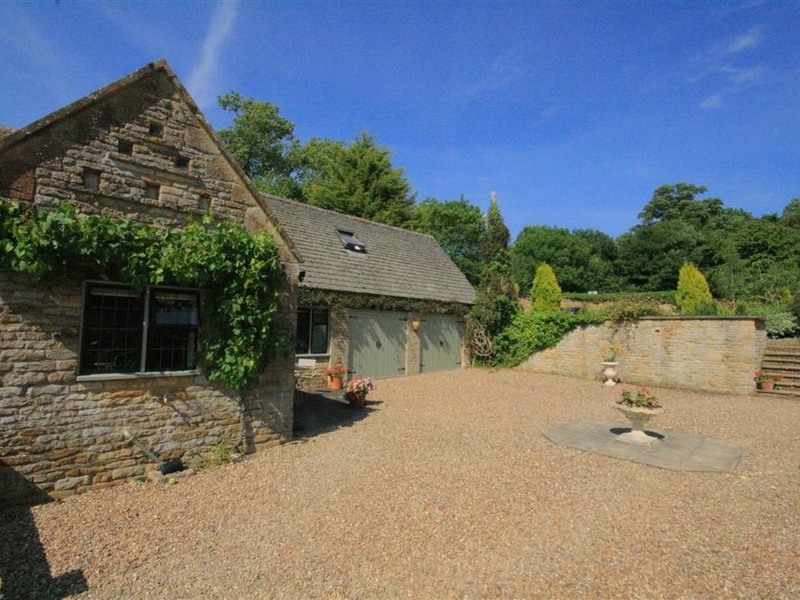 Externally, the grounds that surround this cottage are very peaceful with horses and chickens, found on the gorgeous grounds with fabulous views of the Cotswolds fields and hills beyond. Internally, the cottage has been renovated by the owners to provide a light and welcoming accommodation. There is a living room, an open-plan fitted kitchen and a dining area. Upstairs has one double bedroom, one twin bedroom and one single bedroom. There is a ground floor bathroom and WC. Outside there is an enclosed garden with a patio area. There is a table and chairs provided, as well as a barbecue. There is a tennis court nearby also open for use. Parking is available at the property. The Court Yard Cottage is ideal for a short break or cosy holiday. 3 Bedrooms Oil fire central heating. Electric hob and oven, microwave, fridge with freezer compartment, washing machine with dryer, dishwasher. Flatscreen TV with Freeview, DVD player, limited internet access please discuss with owner. Fuel and power inc in rent. Bed linen and towels inc in rent. Cot and highchair. Enclosed garden with patio, table, chairs and BBQ. Off road parking. One well behaved dog welcome. Sorry, no smoking. Shop and pub 1 mile. Note: The single bed has restricted head room. Note: The owner has 2 friendly Labradors. Note: This property has limited Internet Access. The Courtyard, Notgrove is a group of barn conversions that can be found in Notgrove, Gloucestershire. 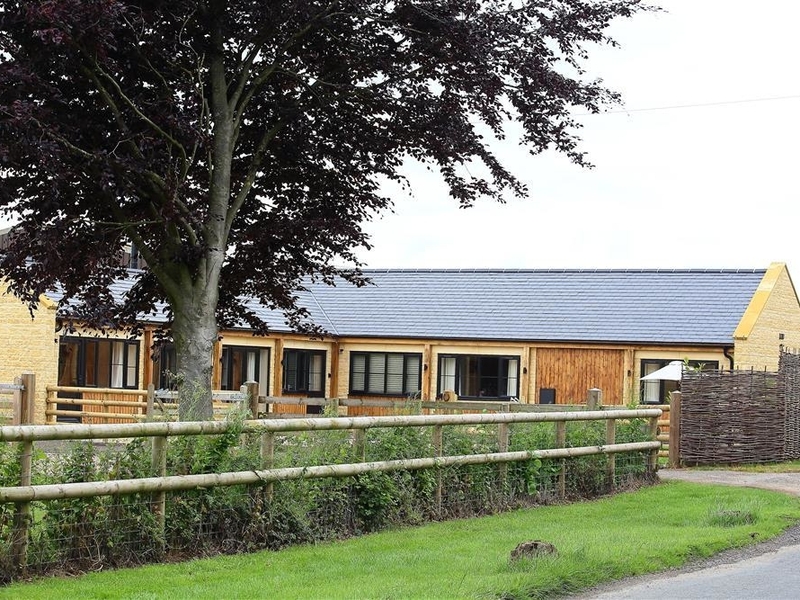 The Notgrove Estate surrounds the property and is picture perfect with cast fields and farm animals, including friendly alpacas, chickens and the usual livestock. There are fifteen bedrooms located across four properties, three of which have four king-size bedrooms and four bathrooms and WC. The fourth property has three king-size bedrooms and three bathrooms and WC. All properties have an open-plan living room with an open-fire, a fitted kitchen and dining area. There is a private garden area with a table and chairs, as well as individual and communal barbecues. There is a separate games room which provides ample indoor play space, it includes table tennis, table football and a pool table. There is a comprehensive range of additional services, from food prepared ready for your arrival, to cycle and tennis court hire service. Parking is available at the property. The Courtyard, Notgrove is the ideal property for friend and family celebrations. 1 Bedrooms Central heating. Electric oven and hob, microwave, fridge, washing machine, TV with Freeview, DVD, WiFi. Fuel and power inc. in rent. Bed linen and towels inc. in rent. Cot available. Off road parking. Shared use of patio area with furniture. Sorry, no pets and no smoking. Shop 2 miles, pub 2 mins walk. Note: Entrance to the Hayloft is up a set of 11 steps. 2 Bedrooms Central heating, woodburner. Electric hob and oven, microwave, fridge with freezer box, washing machine with dryer and dishwasher. Flatscreen TV with Freeview, DVD player, iPod dock. Fuel and power inc in rent. Bed linen and towels inc in rent. Cot and highchair available. Private terrace with table and chairs, unenclosed grass area. One well behaved pet welcome. Sorry, no smoking. Shop and pub 1 mile. Note: Limited Internet available (charges apply, please ask owner on arrival). Walnut Barn is a ground floor, barn conversion in Notgrove, Gloucestershire. It is one of four large barns set on the edge of the Notgrove Manor Estate Farm. This property is the largest of them all, with all rooms located on the ground floor, excellent for those with limited mobility. The property opens up to an open-plan living room, a fitted kitchen and dining area. There is a second living room with a wood burning stove. It has four king-size bedrooms, all with an en suite shower, wet room and WC. It also has a games room complete with a pool table, table tennis, table football and a wall mounted TV. Located outside is an enclosed front patio area with a table and chairs, as well as an additional shared garden area and barbecue. There is ample off road parking. Walnut Barn is an excellent choice for families and those with limited mobility.